Use Docker to simplify, scale, and contain­erize your server infra­structure. Docker is to traditional dev-ops what functions and object oriented programming are to spaghetti code. It allows you to break up what traditionally has been a big server with everything packed on it into concise, easy-to-understand, and easily swap-able components. For example, with Docker, it's easy to swap out your Apache container for your nginx container in a way that doesn't affect your application because it can run fine with any of your web server containers. In a way, your containers become functions and objects in your larger server infrastructure "application" - with clearly defined inputs and outputs. This shift in thinking will revolutionize dev-ops in the coming decade (and indeed, it already has)! 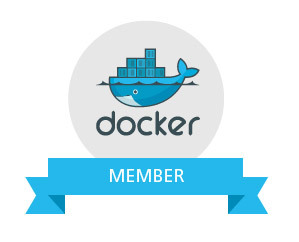 Contact us to learn how Docker can be used in your stack. We're happy to help architect a solution that allows you to simplify and scale your architecture.